Our courses are based on the European Council’s Language Competence System. All units, eg. A1 Beginner 1 is realized during one semester, which is about 45 to 50 hours of class teaching. 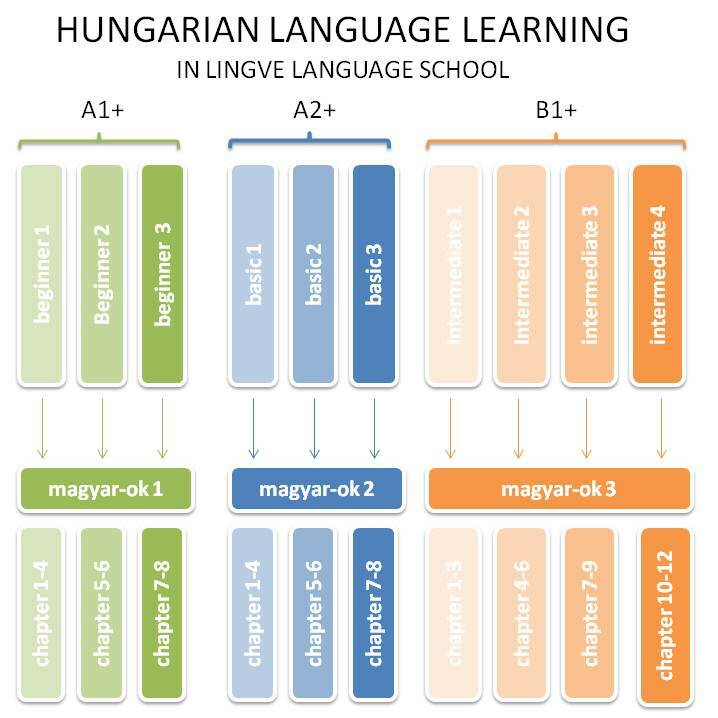 At all levels we use the magyar-ok book series.